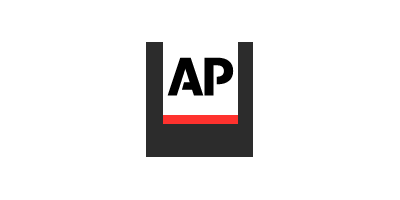 RALEIGH, N.C. (AP) -- The country's largest electric company is being fined $6.6 million for environmental pollution related to a big spill of liquefied coal ash in 2014, North Carolina environmental regulators said Tuesday. The fine covers violations that Duke Energy admitted when it pleaded guilty to federal pollution crimes nine months ago and agreed to pay $102 million in fines and restitution, the state Department of Environmental Quality said. The company could face further civil penalties related to the February 2014 coal ash spill at the company's Dan River power plant in Eden, the agency said. Coal ash is the residue left after coal is burned to generate electricity. It has been collecting in holding basins for decades. It can contain toxic chemicals including arsenic, chromium and lead. North Carolina officials began pursuing stronger regulations and enforcement after a burst pipe released coal ash from a holding pit at Duke Energy's power plant, coating 70 miles of the Dan River in more than 30,000 tons of sludge. Duke Energy is reviewing whether to challenge the fine, the company said in a statement. The company last year contested the state agency's proposed $25 million fine over persistent groundwater pollution at a Wilmington power plant, the state's largest-ever penalty for environmental damage. That was later reduced to $7 million in a settlement that state regulators said also covered groundwater contamination at all 32 of Duke Energy's coal ash basins around North Carolina. Water quality in the Dan River returned to normal quickly after the spill, and harm to fish or other aquatic life hasn't yet been observed, Duke Energy's statement said. The Dan River spill, the third-largest in U.S. history, pushed North Carolina legislators to force the company to stop storing coal ash in unlined pits by 2029. New U.S. Environmental Protection Agency rules that took effect last year are expected to force similar cleanup at coal ash pits around the country. No comments were found for Regulator fines Duke Energy nearly $7M for coal ash spill. Be the first to comment!